AutoBlueberry was created for different reasons. First of all to bring superior quality in the automatic feminized genepool. Blueberry itself is one of our alltime bestsellers, a Dutch Passion Classic. The special qualities of Dutch Passion's Blueberry are known worldwide. 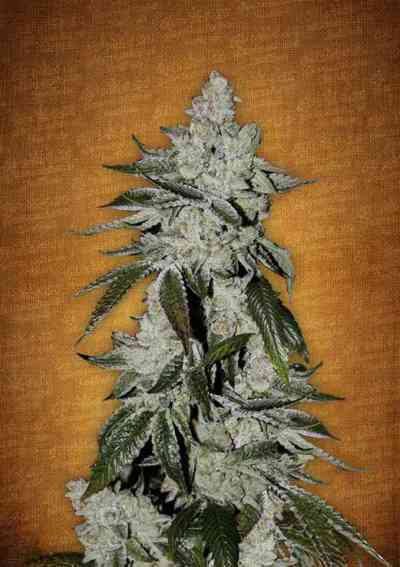 In AutoBlueberry these qualities are incorporated in the feminized and automatic form. 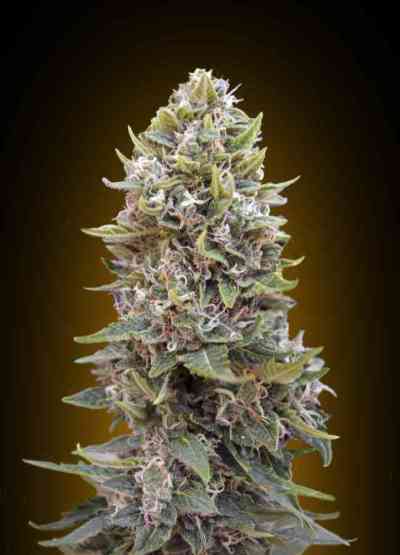 Automatic feminized varieties have several advantages above lightcycle dependent feminized varieties: AutoBlueberry is ready for harvest in about ten weeks, the plants appear outdoors for only a short period. They don't grow tall and hide themselves easy for the eye of unwelcome visitors. For the same reason it is possible to harvest outdoors two or three times per season, depending on the latitude. At Northern latitudes it is a very attractive alternative for an early summer crop, while in mediterranian climates two or three harvests per season are not uncommon. In every aspect AutoBlueberry is a true cosmopolitan. Indoors this variety is an amazing alternative for growing from clones. As an automatic genetic source we have used Canadian Ruderalis genetics. Backcrossing till the F4 generation resulted in AutoBlueberry to become 100% automatic. The F4 autoflowered 100% , 25 days after germination of the seeds. Our AutoBlueberry seeds (F5) were produced by selfing the F4. The plants still carry most of the Blueberry caracteristics, so the phenotype is distinctive Blueberry. Most plants display the famous light blue/purple colouring, caracteristic of Blueberry. 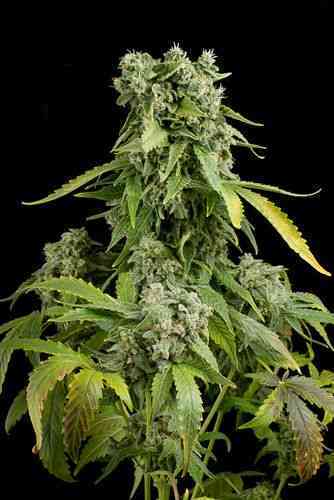 Smell and taste are sweet and fruity (blueberry). The strenght and quality of the high/stone is above moderate.